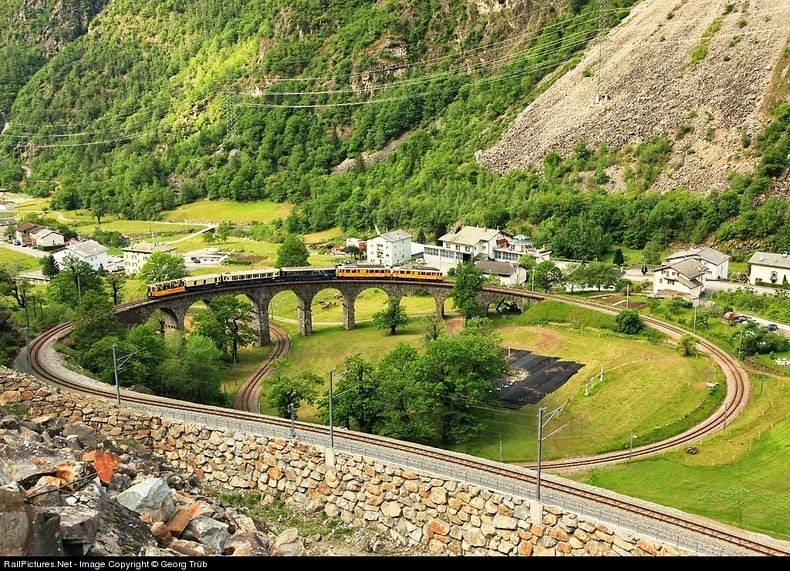 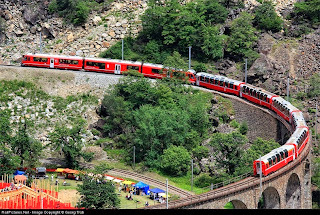 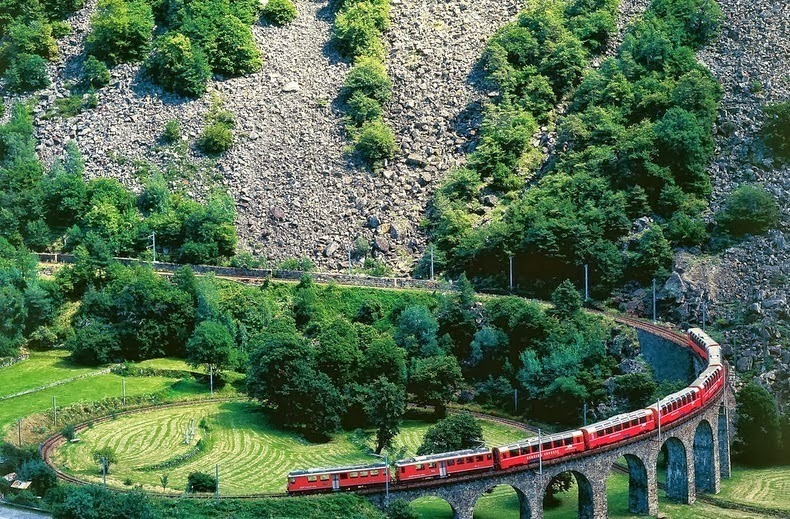 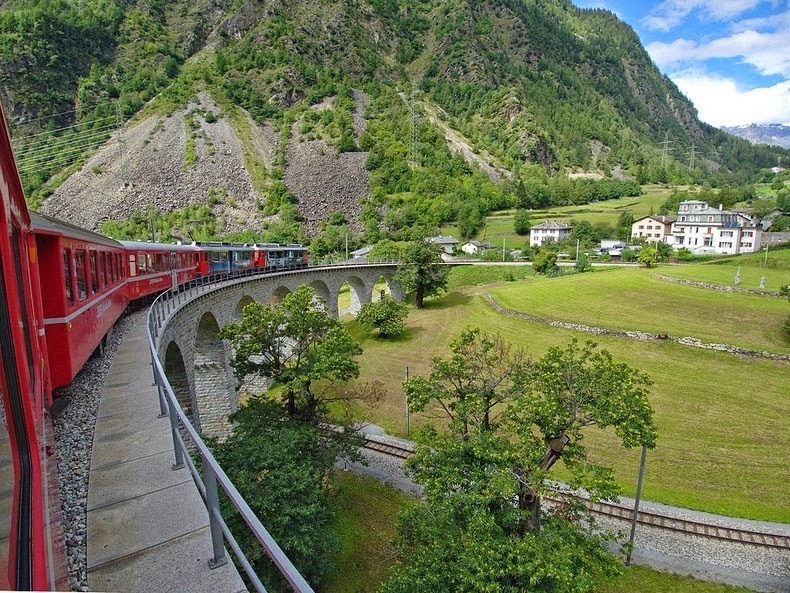 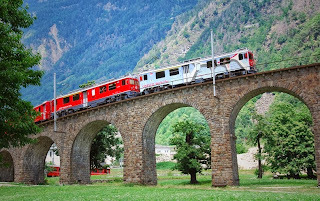 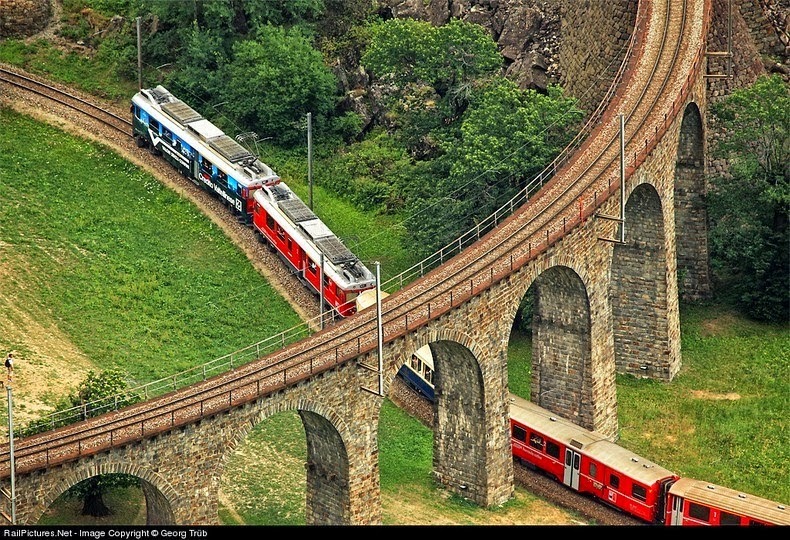 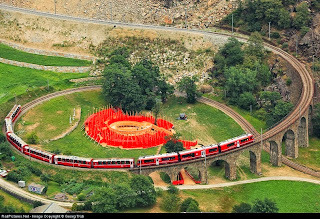 The Brusio spiral viaduct is a single track nine-arched stone spiral railway viaduct located in Brusio, in the Canton of Graubünden, Switzerland. Like most spiral tracks, the Brusio spiral viaduct was built to permit trains to get elevation in a relatively short distance. 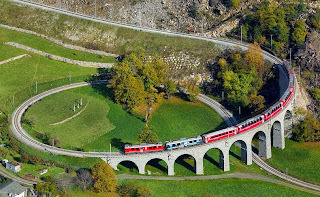 The spiral viaduct is 110 meters long, has a horizontal radius of curvature of 70 meters, a longitudinal slope of 7%, and is made up of nine spans, each 10 meters in length. The viaduct lifts the train by 20 meters. 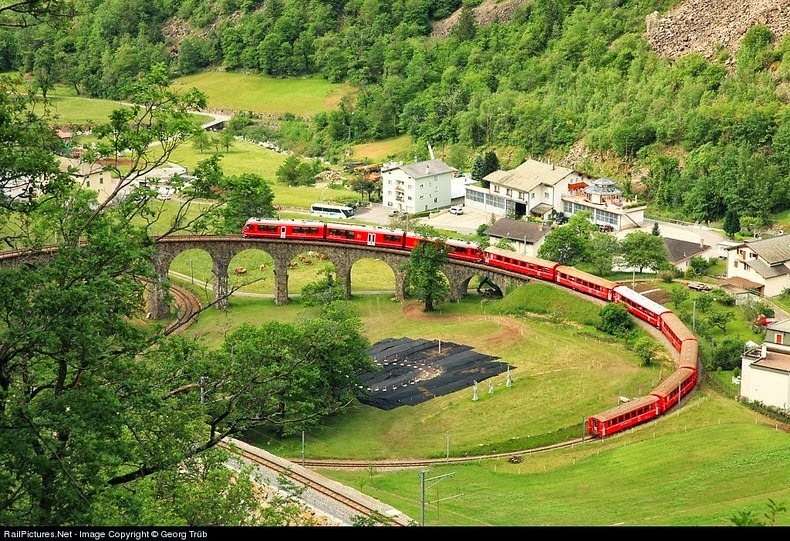 The Brusio spiral viaduct forms part of the Bernina Railway section between Brusio and Campascio, and are about 55 KM from St. Moritz. 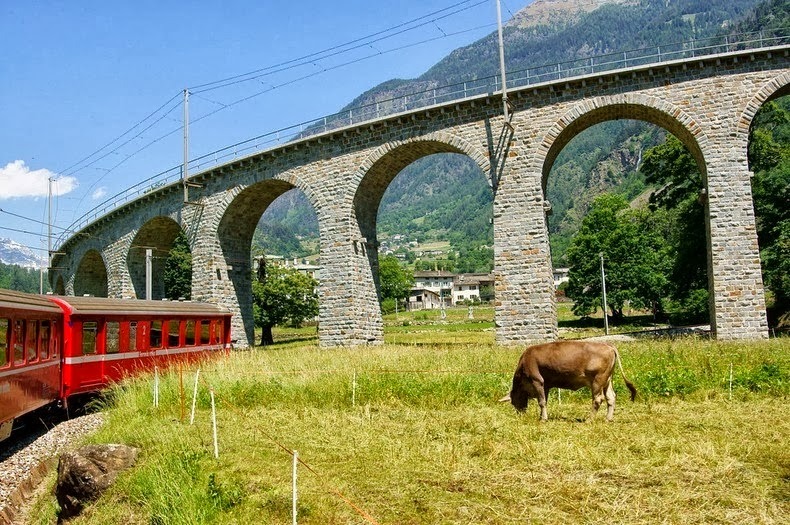 The stone-built viaduct was opened on 1 July 1908, upon the opening of the Tirano–Poschiavo section of the Bernina Railway. 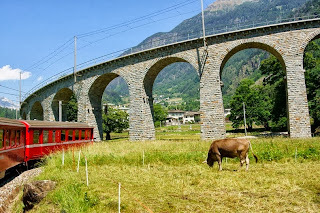 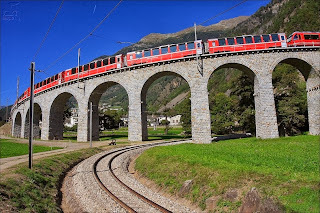 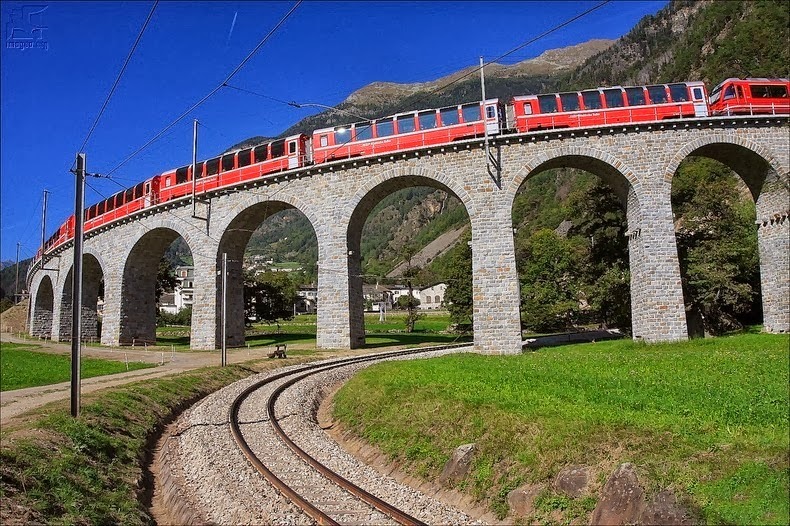 In 1943, the entire railway company was taken over by the Rhaetian Railway, which still owns and uses 40 seconds after passing under the viaduct near Brusio, BERNINA EXPRESS 960 Tirano-Davos with Allegra trainset ABe 8/12 3505 "Giovanni Segantini" and 6 panorama coaches is completing the spiral. In the center the temporary labyrinth, an installation for the 100th anniversary of the Bernina line.